Take a look at our excellent value for money car rental Shannon Airport offers. We compare prices from several top local suppliers guaranteeing you a superb deal. Tourists who want to visit an area that is full of fantastic attractions and great sightseeing opportunities should consider visiting the Shannon region in Ireland. Once you arrive you can pick and choose from countless activities. The airport offers several routes to destinations all over the world while the option of hiring a car at Dublin Airport is also worth considering as it is just a 3 hour drive. 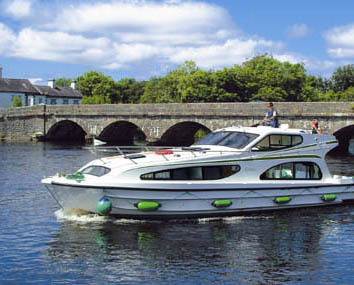 There are a number of ways to explore the Shannon area. As the area is not urban, public transport will be difficult and time consuming to use. Compare our cheap car rental Shannon Airport prices and see if we have the right vehicle for you. Our car hire Ireland comparison service has been running for many years. You can also search for a cheap Cork Airport car rental quote if needed plus our Derry Airport car rental deals offers excellent choice and value. There are limited flight options arriving into Galway but if necessary you can check car hire Galway Airport prices. Another option is to pay for day tours which include transfers to and from hotel locations. While these tours are expensive, they are also well planned and enjoyable. One of the most popular attractions in the area is the Burren. The Burren is famous for its rugged terrain and wildlife. If you would like to be taken on guided outings to explore the Burren Geopark including walks in the hills and by the sea with a very experienced guide, then consider a stay at Burren Yoga Retreat which is suitable for complete beginners to yoga. You will be taken to many magical places well away from the usual tourist spots, and also experience the best yoga and meditation teaching for all ages and all levels of fitness. The Aillwee Caves lead under the mountainside. This area was carved out by an underground river during the early Ice Age. It contains remarkable natural features and formations. Those who want to explore the prehistoric and early Christian past of Ireland can head to Craggaunowen. This area is not too far away from Shannon. It is located close to Quin in County Clare. Both children and adults will find the ancient homesteads fascinating. Travelers can also visit the Brendan boat. This boat is made of hides and was used by Tim Severin to sail across the Atlantic. When people think of Ireland, they often picture rolling green hills. What people sometimes forget is the picturesque coastline and interesting sea life. Tourists that pass through Shannon can take a boat into the Shannon Estuary. This is a great opportunity to see dolphins in the wild. As there are approximately 100 dolphins in the community, the chances of seeing one is high. Tourists who are interested in aviation can head to Foynes. This area has a museum that plane enthusiasts will love. The museum has full size plane replicas on display.